What Are For-Profit Colleges Doing in ALEC? For-profit education is a obscene practice. How good can an education be when the bottom line is profits, and not education? For-profit colleges already make a killing; and they help lenders make a killing also. Students in for-profit colleges have the highest rates of defaulting on loans. What's more is that Latino and people of color are over represented in for-profit colleges. Republic Report has learned that the Washington Post Company's Kaplan for-profit college division, was, last year, a member of the controversial business advocacy group the American Legislative Exchange Council. Other major for-profit education companies also joined ALEC. Republic Report has obtained a July 2011 document showing Kaplan Higher Education and other for-profits as members of ALEC's Education Task Force. This morning, in an email message to Republic Report, Mark Harrad, Vice President of Communications at Kaplan, Inc., a wholly-owned subsidiary of the Washington Post Company that includes Kaplan Higher Education, wrote, "A unit of Kaplan was a member of ALEC for a one year period, which ended in August 2011." For-profit colleges are the ultimate special interest. Many receive around 90 percent of their revenue from federal financial aid, more than $30 billion a year, and many charge students sky-high prices. In recent years, it has been fully documented that a large number of these schools have high dropouts rates and dismal job placement, and many have been caught engaging in highly coercive and deceptive recruiting practices. Yet when the bad actions of these predatory schools got publicly exposed, the schools simply used the enormous resources they've amassed to hire expensive lobbyists and consultants, and to make campaign contributions to politicians, in order to avoid accountability and keep taxpayer dollars pouring into their coffers. Are you surprised to learn that these subprime schools joined the now-discredited ALEC, the secretive group that connects corporate special interests with campaign contribution-hungry state legislators in order to dominate lawmaking at the state level? No, you probably aren't surprised. Much of the action on for-profit colleges takes place at the federal level, where the money comes from, but states are increasingly taking an interest in protecting their residents from predatory practices -- through accreditation of schools, investigations of fraud, and other oversight. So for-profit colleges have come to ALEC to seek influence at the state level. Washington Post Company-owned Kaplan, which is under investigation by at least four state Attorneys General, where 68 percent of college students drop out before graduating (the worst overall dropout rate of the top ten recipients of post-9/11 G.I. bill benefits), and whose previous CEO received a $76 million compensation package when he left. Bridgepoint Education, which is under investigation by at least six state Attorneys General, and which in 2009 spent more than $2000 per student on recruiting and only $700 per student on instruction. Of every 100 associate degree students who enrolled in Bridgepoint in 2008-09, 84 had dropped out by September 2010. Corinthian Colleges, which is under investigation by at least six state Attorneys General, where 66.5 percent of associate degree students drop out, and where 36 percent of students default on their loans within three years -- the highest default rate of all publicly traded for-profit education companies. APSCU, the for-profit schools trade association, which hires expensive lobbyists like former Senator Trent Lott to pressure Congress, and works hand-in-hand with the House Republican leadership on bills to prevent bad actors in the industry from being held accountable for waste, fraud, and abuse. 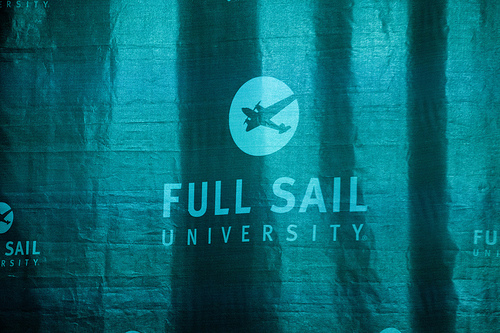 APSCU members include DeVry, ITT, ATI, Education Management Corp., Career Education Corp., and Mitt Romney favorite Full Sail University, as well as Kaplan, Bridgepoint, and Corinthian. These affiliations between for-profit colleges and ALEC raise some serious questions. Donald Graham, CEO of the Washington Post Company, lobbied hard against an Obama administration rule to hold Kaplan and other colleges accountable if their programs left the vast majority of students with insurmountable debt from student loans. The argument that Graham stressed, again and again, was that the proposed rule would harm low-income students. It was never clear how a rule that channeled federal aid toward education programs that actually helped students get training and jobs, and away from programs that ruined their lives, would harm low-income people. But now we know that Kaplan was part of ALEC, which advanced model laws on Stand Your Ground, the provision that could influence the outcome of George Zimmerman's criminal case for the killing of Trayvon Martin, and on Voter ID, which makes it harder for low-income people, people of color, young people, the elderly, and the disabled to vote. Why did the Washington Post Company, whose CEO proclaimed that Kaplan was committed to aiding the disadvantaged, support through Kaplan an organization that was doing these things? And why hasn't the Post disclosed in its coverage of ALEC that its Kaplan division was recently an ALEC member? Meanwhile, Marc Morial, CEO of the National Urban League, has aggressively denounced ALEC as "Zimmerman's accomplice" and "the shadow author of numerous pieces of legislation aimed at boosting corporate power and profits, reducing worker rights, weakening environmental protections, and restricting voter rights." Morial called the Voter ID laws "despicable" and said they have "the potential to disenfranchise more than five million voters during this all important presidential election year." Yet in February Morial and Corinthian Colleges CEO Jack Massimino jointly announced a $1 million gift from Corinthian to the Urban League, and Morial said Corinthian "has a long history of preparing students for careers that are in demand." Morial had previously penned an op-ed in the Washington Post criticizing the proposed Obama regulation, the same regulation that Corinthian and Kaplan spent millions to oppose. But now we know that Corinthian has supported ALEC, the group behind the destructive laws that Morial has attacked. Maybe Morial should now take a more critical look at the for-profits, whose misconduct has been criticized by numerous civil rights groups including the NAACP, National Council of La Raza, and the Leadership Conference. Teresa Candori, a spokesperson for the National Urban League, said that Morial is travelling and unreachable; she said, "We haven't made any statements about the individual or corporate members of ALEC ... our statements have focused on the activity of the Council itself." Bridgepoint, Corinthian, and APSCU did not respond to our requests for comment. As Education Week recently reported, the ALEC Education Task Force seems to have focused much of its attention on K-12 education, including advancing support for private school vouchers and public charter schools. But documents obtained by the Center for Media and Democracy reveal that ALEC bills also addressed higher education. ALEC adopted model laws that implement the Academic Bill of Rights, a favorite piece of conservative legislation that attacks academic freedom and campus free speech. Several other ALEC bills seek to impose tougher accountability standards on public colleges, which compete with for-profits for students and resources. In addition, one ALEC model bill, a "RESOLUTION CALLING FOR GREATER PRODUCTIVITY IN AMERICAN HIGHER EDUCATION" includes a provision entitled "Educate and Train in Affordable Ways" that says, "State officials should recognize the value of for-profit providers and community colleges, which are primarily open-access systems that serve students at the least expense." In fact, for-profit colleges are far more expensive for students than community colleges and other public institutions, and they provide much worse value per dollar because their performance level is dismal compared with public institutions and private, non-profit colleges. According to the July 2011 document, other members of the ALEC Education Task Force included Dell, Inc., the conservative Heartland Institute, student testing technology maker Scantron, and numerous state legislators. Republic Report and our allies have called on a range of enterprises to quit ALEC, which harms the communities where these companies do business. And our coalition, backed by concerned citizens across the country, has had some success. But when it comes to these particular for-profit colleges, I'm not sure we should spend time urging them to quit ALEC, if any are still members. Maybe the secretive ALEC and these arrogant subprime education companies deserve each other.